The day might seem a bit shorter as clocks spring forward today, but the Toronto Irish Film Festival smartly anticipated an uptick in short attention spans. 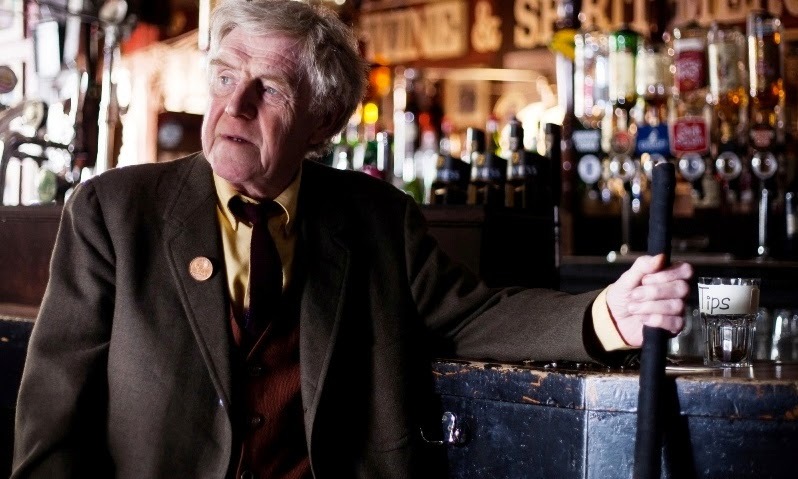 A little luck of the Irish puts a swell shorts programme on the ticket at TIRFF today, and there’s something here for everyone including a hearty few pints of Guinness. Cheers! Said pints appear in the fun documentary Analogue People in a Digital Age (Dir. Keith Walsh, 13 min.) alongside some pints of Harp and a colourful (very colourful) cast of pub dwellers. 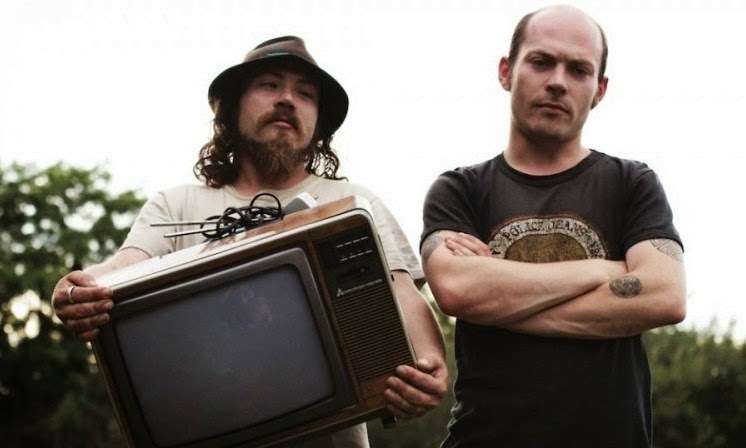 The difference between Guinness and Harp might be astronomical for seasoned beer drinkers, but nothing quite compares to the difference between digital television and analogue telly for these hearty barflies. Unlike most Canadian pubs where TVs and hockey games cover every wall, there’s nary a TV to be seen as director Keith Walsh interviews the patrons of a local dive on the day that Irish broadcasters make the switch from analogue waves to digital transmissions, and these old school drinkers (some of whom are hilariously loaded) ponder the existential questions proffered by this newfangled technology. “Such is life,” one drinker observes before ordering another round. Many of the men don’t even understand the difference between the two technologies, while others babble and slur about extraterrestrial encounters or simply stare past the horizon of their pint glass. What Walsh humorously finds, though, is the undeniable pleasure of human company that occupies a smaller and smaller place as technology grows and becomes the focal point in most family rooms. Doesn’t a night at the pub offer much cheerier spirits? A real holy spirit walks the walk and talks the talk in the amusing I am Jesus (Dir. Kevin Cassidy, 7 min. ), which is a droll observational spoof on a Dubliner who’s down with G-O-D. An unholy barrage of puns and cheeky blasphemy make I am Jesus devilishly fun. The final title cards advertise that no Jesuses (is it Jesii?) were harmed during the making the making of the film, and the subtlety of that joke is the best punch line a non-believer could ask for. Preach! Careful What You Wish For (Dir. Myles O’Reilly) sings a different tune as this music video for BellXI finds some hypnotic visuals in the simple contrast of black and white. Paint, skin, and glowing light conjure ghostly images to complement the cautionary tale of the haunting song. The animated Irish/Russian co-pro Anya (Dir. Damien O’Connor, 5 min. ), on the other hand, takes the programme in a different direction as it raises spirits with the attitude that nothing is impossible. Anya provides a brisk, warming glimpse into the life of one girl whose life has been saved by love and kindness, and O’Connor’s turn from animation to live action situates the film in reality. It’s sharp and poignant. Equally poignant is the poetic drama I’ve Been a Sweeper (Dir. Ciarán Dooley, 12 min. ), which follows one elderly broomsman on the last day of his life. Eamon Morrissey plays the observant sweeper who reflects on his life in well-versed voiceover as he goes from pub to pub, clearing away the crumbs from the night before—left by pint drinkers debate digital versus analogue, no doubt!—and enjoying a nip in between. Dooley brings out the life in Morrisey’s wistful, likable performance with the help of Eamonn Murphy’s crisp, bright, and warm cinematography. A lust for life glows in every frame of I’ve Been a Sweeper and it’s as fine a film as any to warm the spirit with today’s added dose of daylight. The TIRFF shorts screen at TIFF Lightbox on Sunday March 8 at 4:00pm. Please visit torontoirishfilmfestival.com for more information. I've Been A Sweeper from Eamonn Murphy on Vimeo.